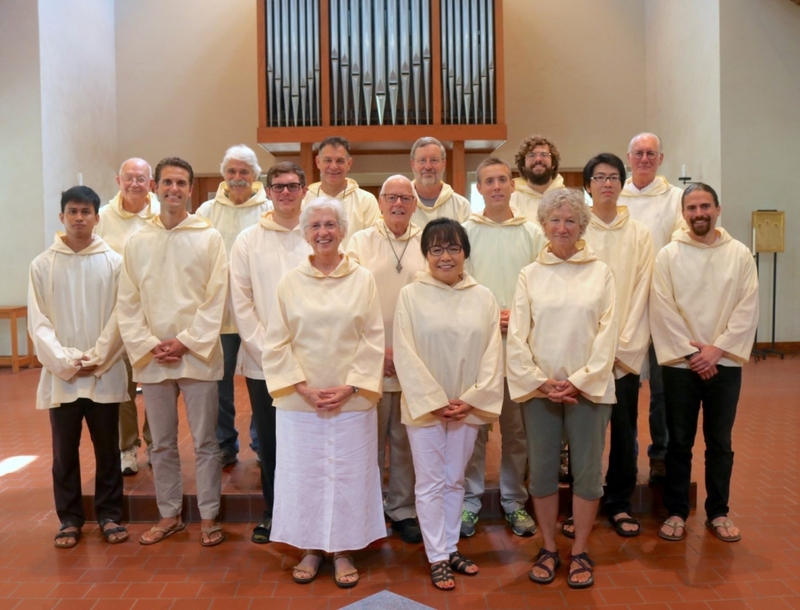 Over the weekend, there were two presentations on the theme of interspirituality from the Reverend Matthew Wright of St. Gregory’s Episcopal Church in Woodstock, NY. 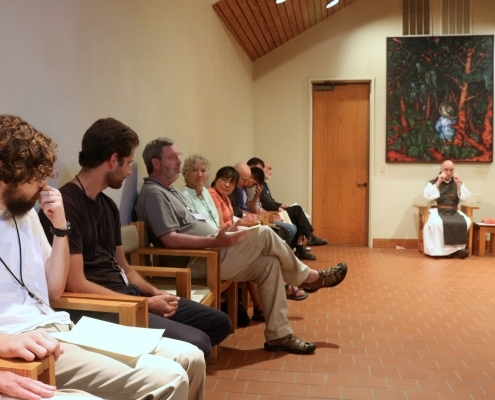 These conferences were well received by all. 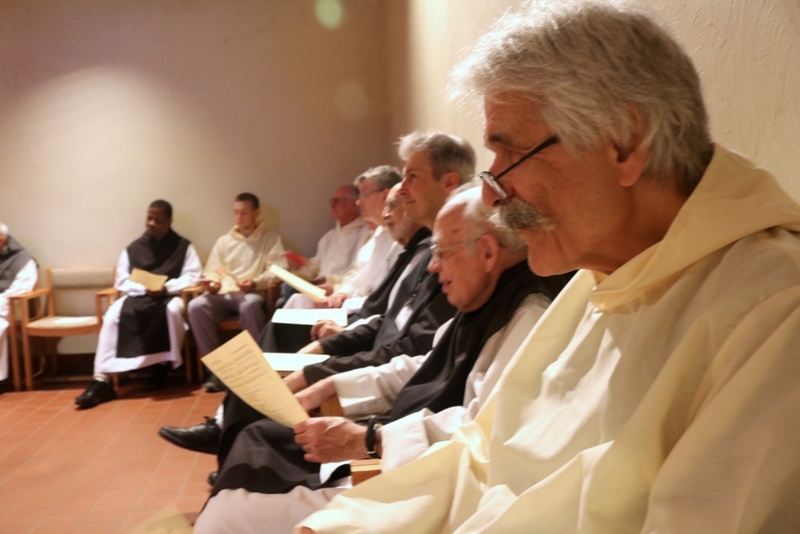 On the evening of Saturday, June 30th, the Mepkin Community along with the Monastic Institute participants gathered together in the Chapter Room. 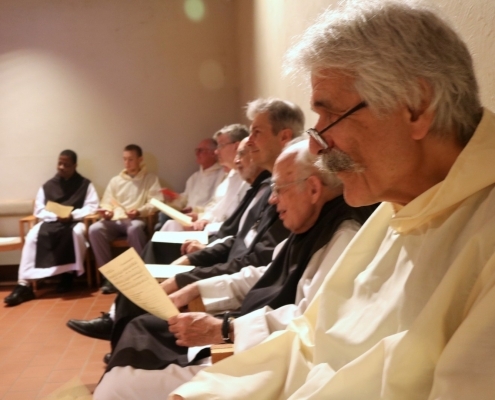 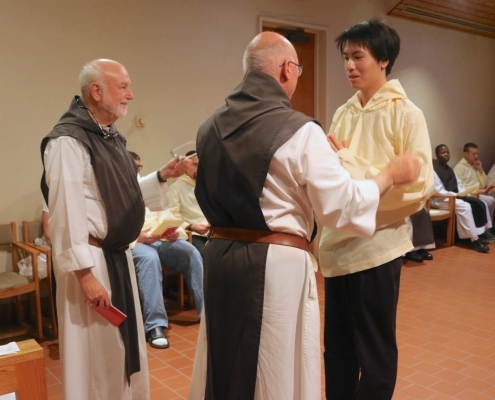 Each monk shared their name, where they are from, and what drew them to Mepkin. 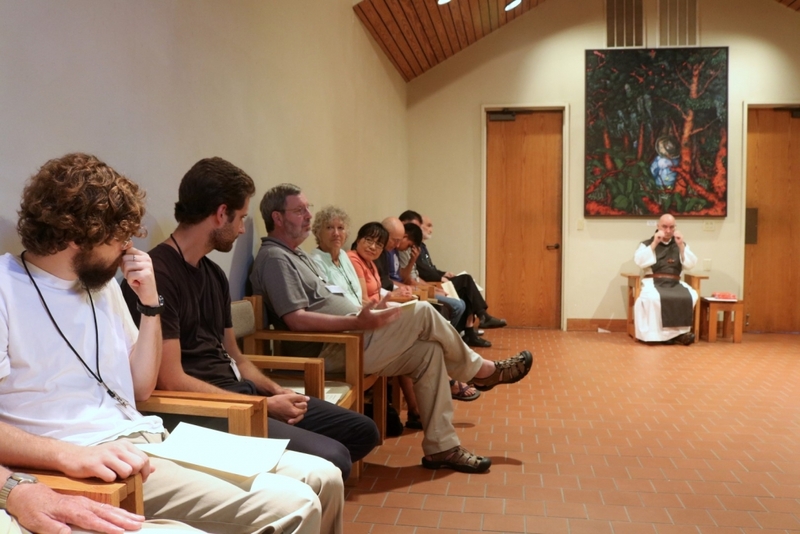 The participants told how they found out about the Institute and what appealed to them about the program. 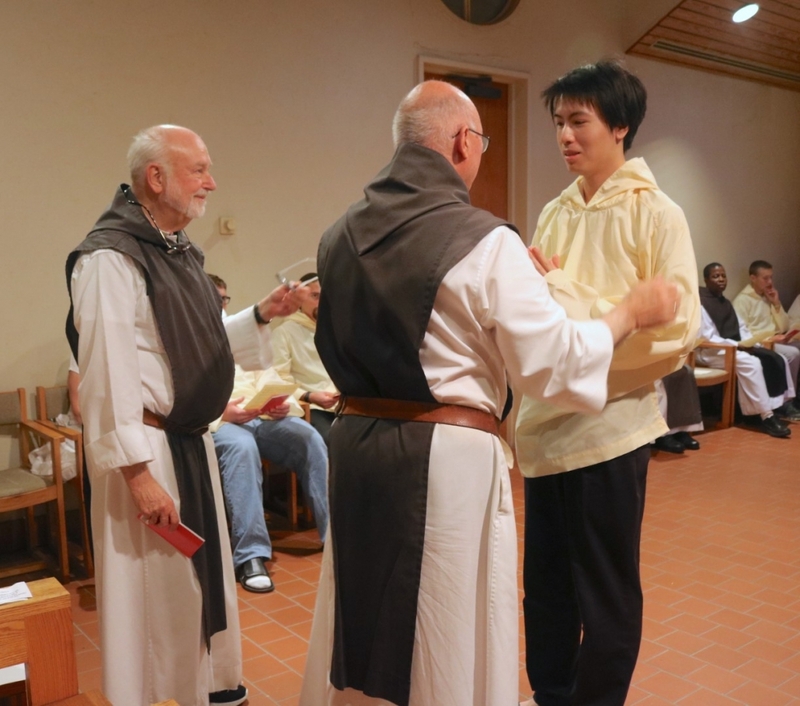 It was a very beautiful time of sharing. 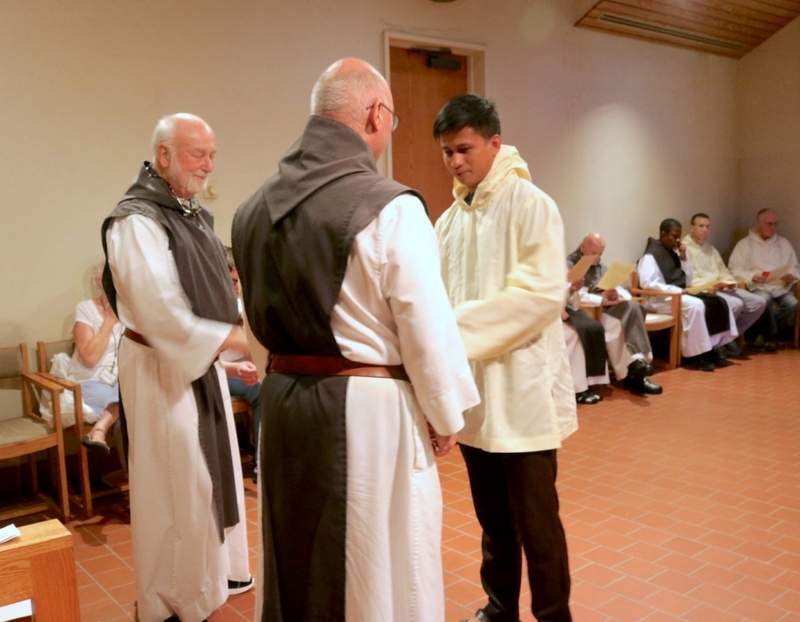 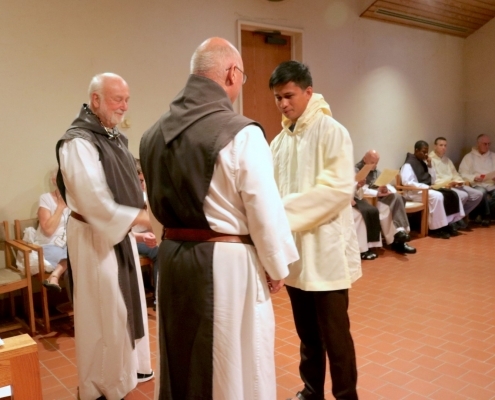 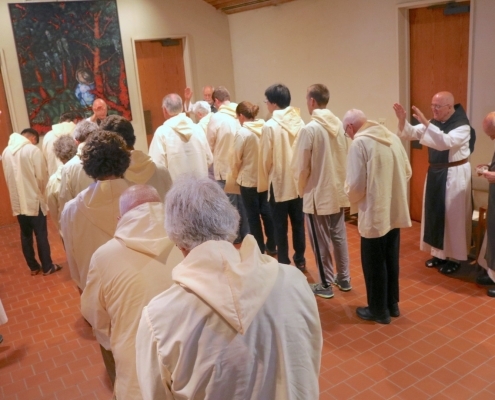 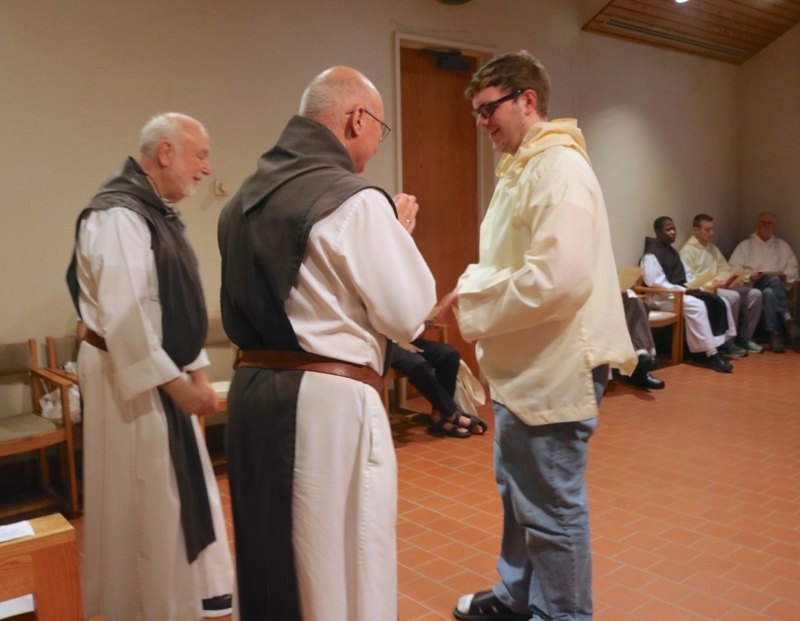 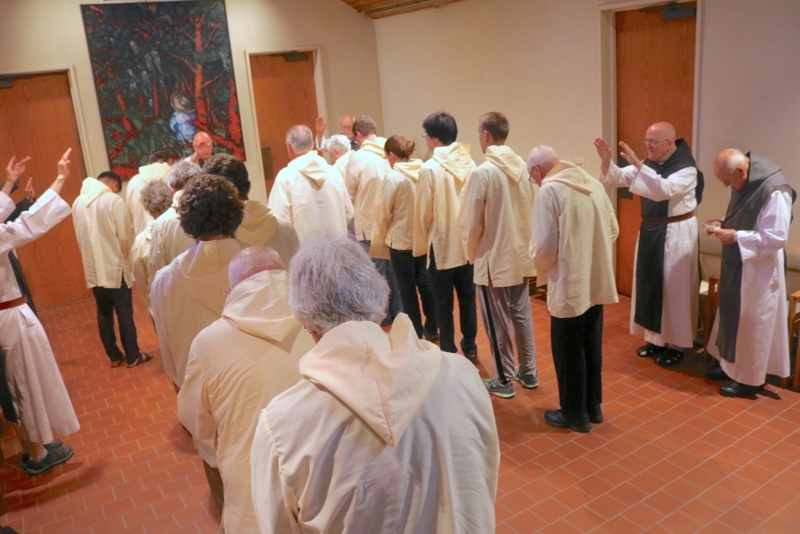 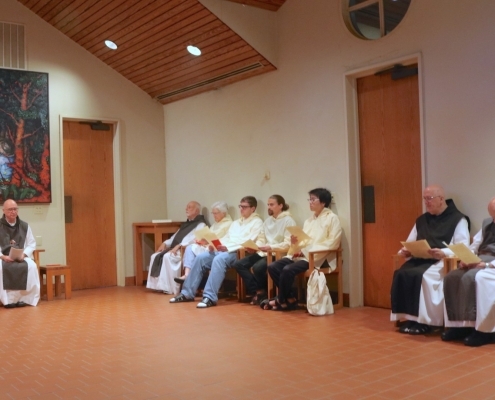 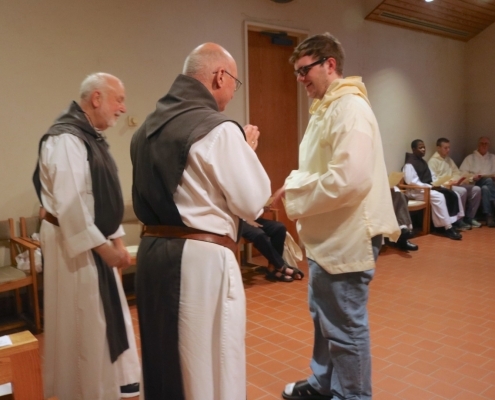 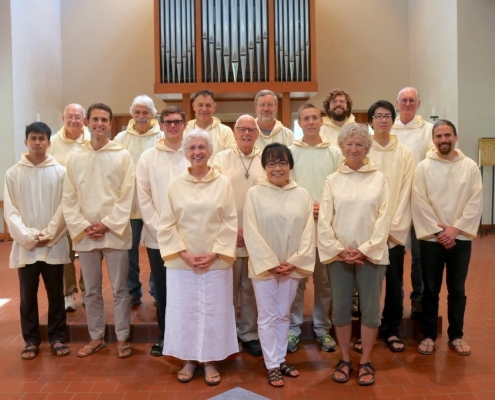 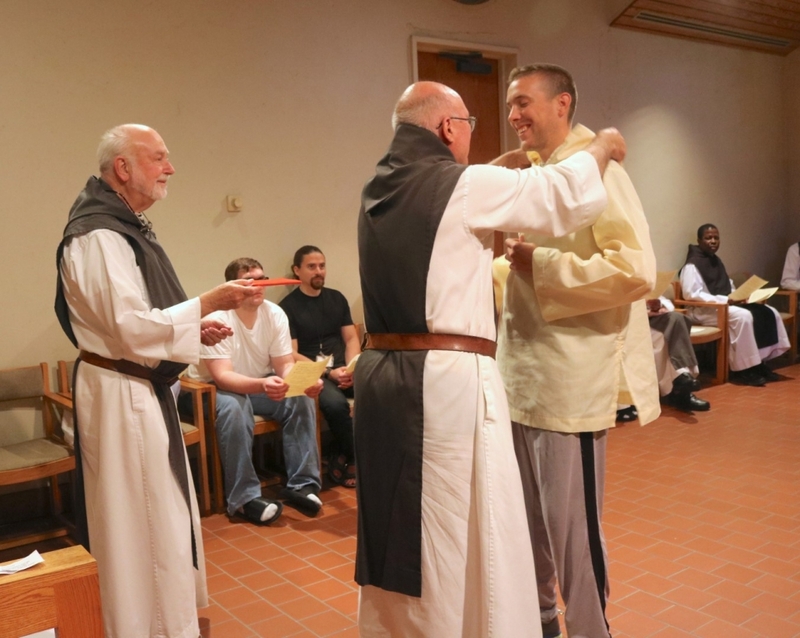 At the end of the Chapter, Abbott Stan welcomed the Institute members and presented each of them with their monastic garb, which they will wear throughout the month at Mepkin as a sign of their dedication to living with the monks in the monastery as one community. 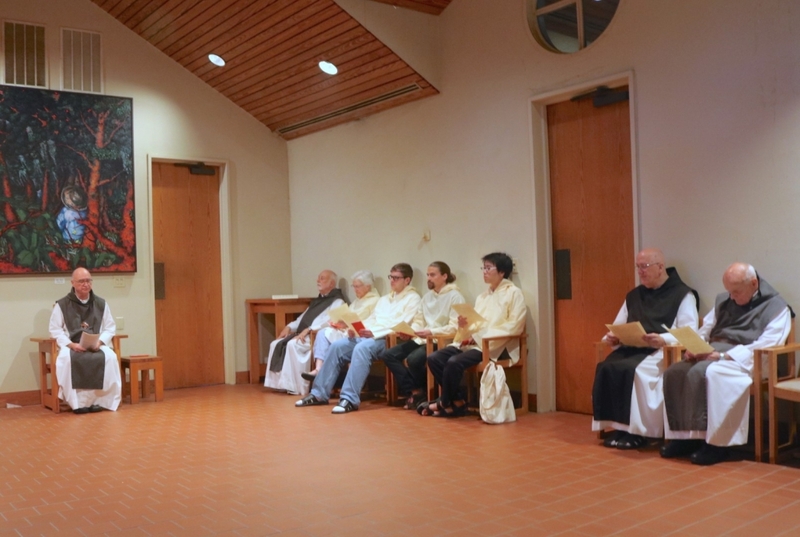 Father Guerric then presented each person with a copy of the Rule of St. Benedict. 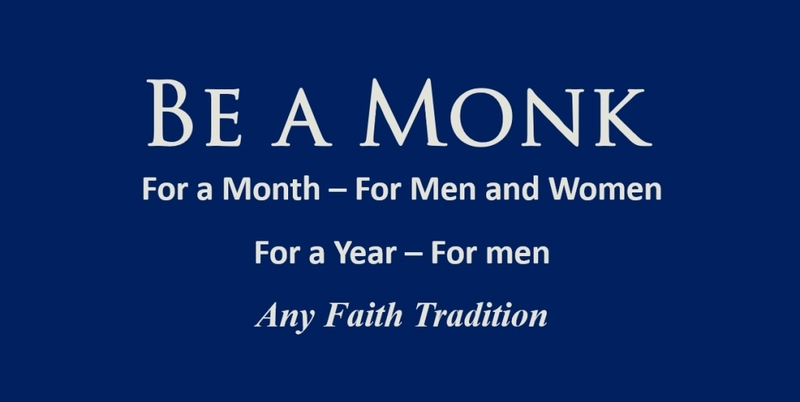 It was a meaningful beginning to what promises to be a very special month.